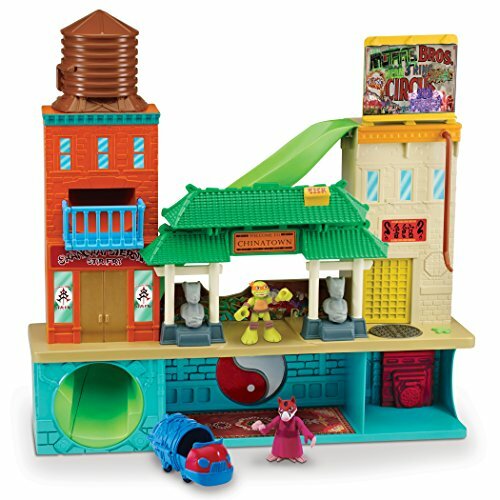 Here are some great gifts ideas for toy play sets from the Teenage Mutant Ninja Turtles range. 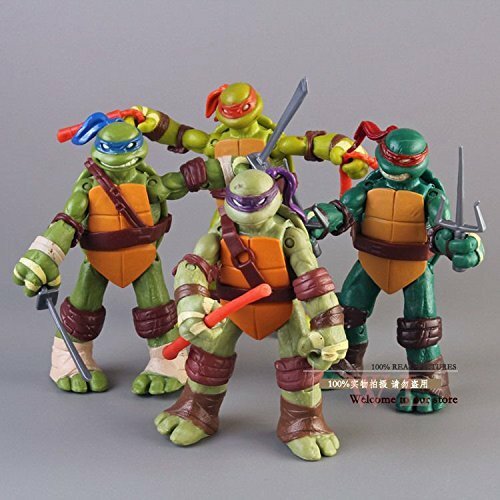 Perfect gifts for Birthdays or Christmas for any child that is a Ninja Turtle fan. 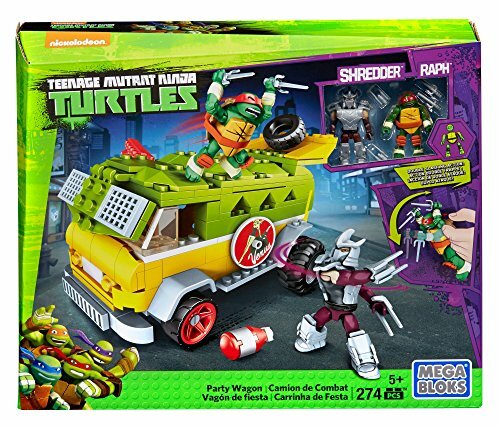 I really can’t decide if I prefer the Turtles Party Wagon or The Turtles Sewer lair both look such good fun. 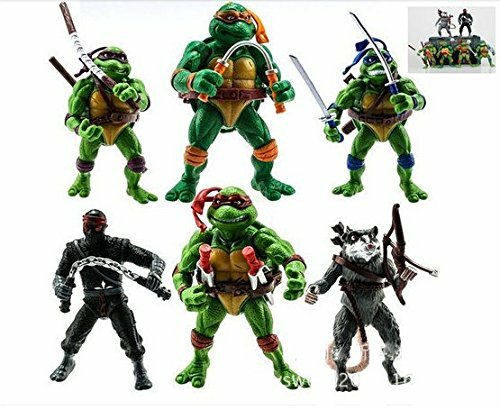 I am considering buying one of these sets for my Nephew this year, he is such a big a TMNT fan. 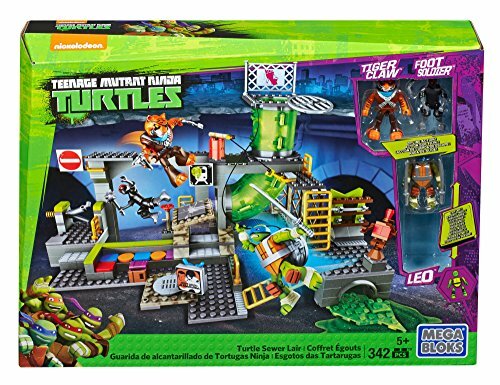 In this review we are going to discuss the ‘Leonardo’ Blaster in a range of TMNT dart firing guns, if you child is a fan of one of the other turtles then you can always check out the others in the range. The Leonardo Blaster is a plastic foam dart firing toy gun similar to the popular Nerf gun series but with a distinctive ‘Turtle’ look about it. It comes with four turtle darts that fire up to forty feet. You can buy additional foam darts as well. 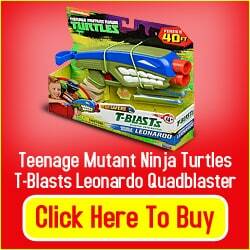 Who Would Love The Teenage Mutant Ninja Turtles T-Blasts Leonardo Quad Blaster as a Gift? Any Teenage Mutant Ninja Turtle fan will be happy to receive one of these blasters as a gift. Especially fans of the Leonardo character. The manufacturers recommended age range is from 3-15 years old. I’d say that teenage children might find the gun a little young for them unless they are big Ninja Turtle fans and want it as a collector’s toy. If you are a Teenage Mutant Ninja Turtle fan these blasters really do look great. This is a fun toy that ties in nicely with the New TMNT film. We did like the little turtle faces on the front of each dart! While the gun comes with a trigger this actually doesn’t fire the gun it just rotates the barrel. There is a loop at the back that is pulled back and released to fire the foam dart. This seems to make the gun less accurate, though maybe more practice is needed to get used to it. Is The T-Blasts Leonardo Quad Blaster Value for Money? If your kid is a big Turtles fan then yes. If they aren’t but you think they will like similar blaster guns then check out some other brands such as Nerf. The foam darts should be fine for indoor and outdoor play so is great for the summer or winter months, so your kids should get plenty of usage out of it. 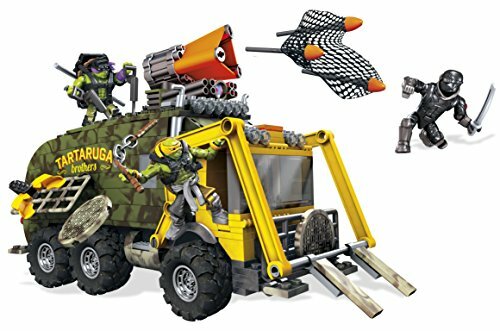 Where Can I Buy The Teenage Mutant Ninja Turtles T-Blasts Leonardo Quad Blaster? This blaster and others in the range as well as extra ammo can be purchased at online toy stores such as Toys R Us as well as Amazon who have the full range available for sale. 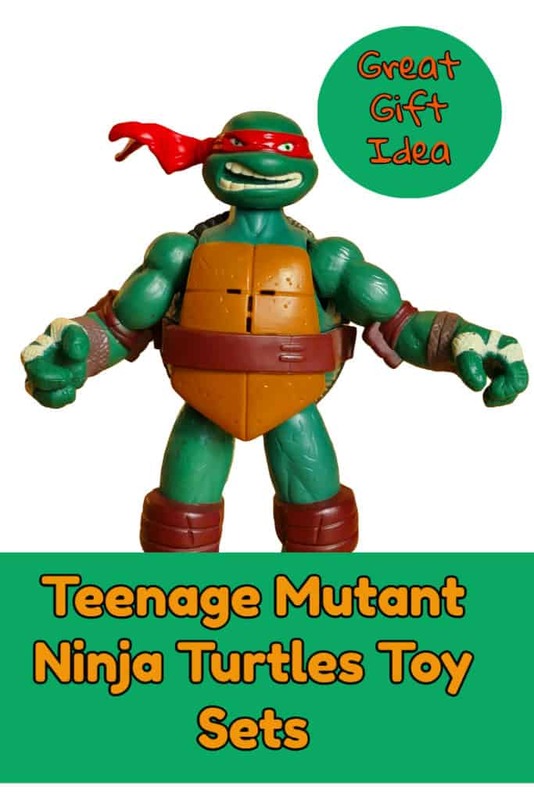 This one is strictly for Ninja Turtles fans and if your kid liked the movie he or she is likely to appreciate this as a gift. If they aren’t really into TMNT but you like the idea of getting them a foam dart gun, then there are plenty on the market with the biggest seller and most popular being Nerf guns.